Group Executive Officer Andrew Bardot attended the spring technical meetings of IUMI which were held in Hamburg on 18-20 March 2018. The appointment would be for the placement of the programme for the year commencing 20 February 2019. The Group will be attending and hosting an exhibition stand at the Interspill Conference to be held at the ExCel exhibition centre, London from 13-15 March 2018. A revised version 3.0 of the Guidelines for the Carriage of Calcium Hypochlorite in Containers has been issued. 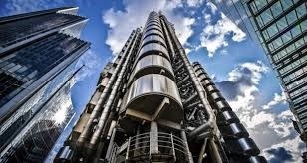 The arrangements for the renewal of the International Group General Excess of Loss (GXL) reinsurance contract and the Hydra reinsurance programmes for 2018/19 have now been finalized. The Group was invited by the Australian Maritime Safety Authority (AMSA) to participate and present at its two-day Salvage and Wreck workshop held at the National Maritime Museum in Sydney on 28 and 29 November 2017.